Suddenly stopping Lyrica or drastically decreasing the dose can lead to uncomfortable withdrawal symptoms.1 In some cases, these withdrawal symptoms can become life-threatening and require medical care. It’s best to detox from Lyrica under the supervision of a doctor or another healthcare professional. Lyrica withdrawal symptoms are similar to those of withdrawal from alcohol or benzodiazepines.5 The severity of the symptoms can vary based on the length of time the medication was used, the dose, and whether the person was abusing other drugs. 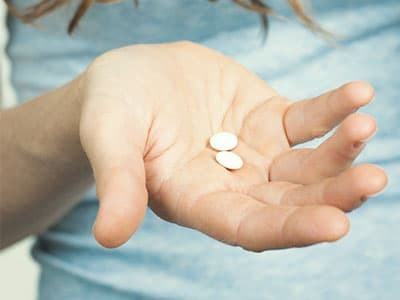 People who have used very high doses of Lyrica, or have been on the medication for an extended period of time, may encounter more severe withdrawal symptoms. Those who have taken a lower dose, or for a short period of time, may experience mild withdrawal symptoms or no symptoms at all. Lyrica withdrawal symptoms can cause complications—some of which can be life-threatening. Dehydration. Diarrhea, nausea, vomiting, and increased sweating can lead to dehydration or electrolyte imbalance. Heart problems. Rapid heartbeat or palpitations can lead to cardiac issues that can become life-threatening. Seizures. Since Lyrica can be used to manage seizures, abruptly stopping the medication can lead to a recurrence of seizures, which can be fatal. Overdose. Similar to other drugs, rapidly stopping use of Lyrica can lead to strong cravings and relapse, which can increase the likelihood of overdose. Suicidal thoughts. In addition, depression and suicidal thoughts or behavior are common psychological withdrawal symptoms that can be dangerous.4 Moreover, feelings of anxiety and depression increase the chances of relapse and overdose. Users should slowly taper off Lyrica under the care of a medical professional to ease the intensity of withdrawal symptoms.5 As mentioned above, the duration of detox may be more pronounced or prolonged in people who have used large amounts or have taken Lyrica over an extended period of time. Over time, chronic use of Lyrica can lead to tolerance. The brain and body become accustomed to Lyrica and eventually are desensitized to the effects of the drug. Once an individual has developed a tolerance to Lyrica, a higher dose is required to attain the desired results, whether those results are relief of seizures or pain or a euphoric high. Continued use of Lyrica can also lead to a physical dependence, meaning that the individual requires a specific amount of Lyrica in their system to function normally. Without this amount of Lyrica, the individual will experience withdrawal symptoms. Participating in a formal Lyrica addiction treatment program can help to strengthen and solidify recovery, aid in the development of a sober support network, develop a sense of accountability, and help a person learn and practice relapse prevention techniques that are helpful in maintaining long-term sobriety. Formal treatment also provides peer support, professional therapeutic techniques, and medical or psychiatric support services. Detox facilities: These clinics provide a safe, medically supervised environment where the person can detox safely from Lyrica. Medical and counseling professionals are on hand to provide support for the duration of detox and monitor people for risks or complications. Inpatient treatment: Treatment occurs in a residential facility where recovering Lyrica users stay for varying lengths of time, from a period of 28 days to 3 months. The facility provides a safe and structured sober environment where people receive intensive group and individual therapy sessions, as well as medical and psychiatric monitoring if necessary. Outpatient treatment: Outpatient substance abuse recovery programs allow people to take care of demands at work, school, and home while receiving top-quality treatment in both group and individual formats. Depending on the type of outpatient program, access to psychiatric and medical support may also be provided. Partial hospitalization: This type of treatment provides medical care and intensive individual and group therapy sessions while allowing people to live outside of the facility and still attend to family and home responsibilities. Partial hospitalization usually requires more of a time commitment than standard outpatient care. At this point, neither of these medications have been studied enough to be considered evidence-based medication-assisted treatments. Medical detox professionals may prescribe other medications to treat symptoms of withdrawal. Seizures. If someone was prescribed Lyrica for seizures or has experienced seizures as part of the withdrawal process, it is essential to prescribe anti-seizure medication to ensure continued health and safety. Gastrointestinal. Nausea can be managed with specific medications, such as Zofran. Diarrhea or upset stomach can be treated with Imodium. Insomnia. Difficulty falling or staying asleep is a common issue with Lyrica withdrawal. Medical detox professionals may prescribe sleep aids that are not habit-forming and have a low potential for abuse, such as trazodone.
. U.S. National Library of Medicine. (2016). Pregabalin.
. Barrett, J.A., Kittler, L.M., & Singarajah, C. (2015). Acute pregabalin withdrawal: A case report and review of the literature. Southwest Journal of Pulmonary and Critical Care, 10(5), 306-310.
. Food and Drug Administration. (2013). Lyrica medication guide.
. PDR.net. (2016). Lyrica (pregabalin) – drug summary.
. Toth, C. (2014). Pregabalin: Latest safety evidence and clinical implications for the management of neuropathic pain. Therapeutic Advances in Drug Safety, 5(1), 38-56.
. Mayo Clinic. (2015). Clonidine (oral route).